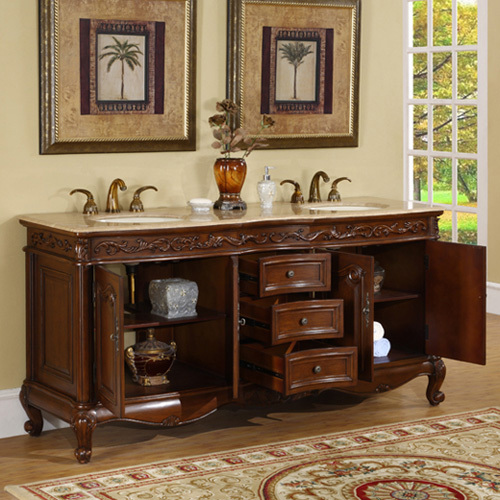 The Alcamo Double Bath Vanity is a handsome bathroom centerpiece. 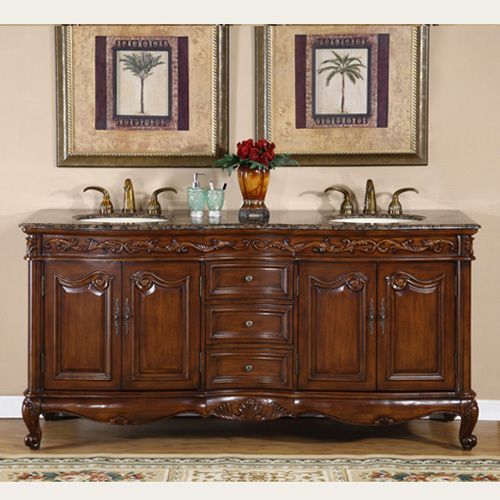 The beautiful carved details on the the legs, top, drawers, and doors give this piece its charm. The countertop is available as Baltic brown granite or Travertine. Both options are pre-drilled for simple faucet installation, and both include an undermount ivory sink. 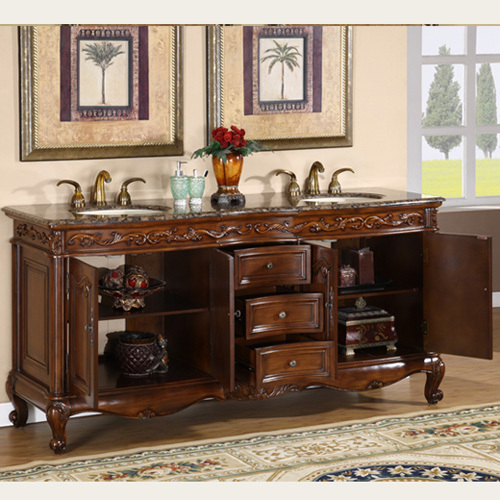 Two double door cabinets and three central drawers allow you to stay neat and organized. 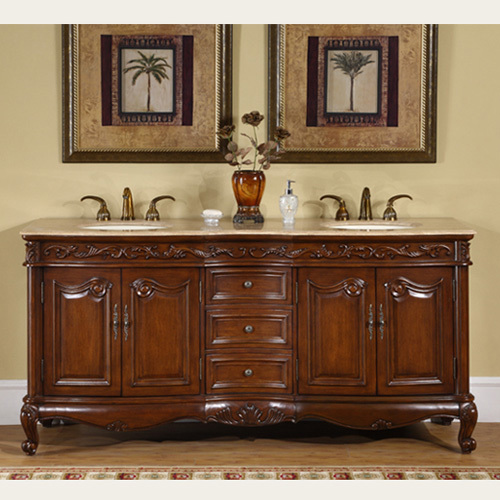 The antique brass hardware completes this double vanity's style.